No more letting opportunities slip by. Bank on the in-depth analysis and forecasting of Equity, Commodity and FOREX market by subscribing to this weekly premium report. Ever had a problem arriving at high-accuracy low-risk trade setups? Well, sure you have. Even the most experienced traders find it difficult to scribble out the right opportunities from highly volatile charts. This is the core problem that this report aims to solve. The premium report, of ProRSI, based on intensive research, assures to not only provide you with short, intermediate and major trends but also help you learn every aspect and principle of classical charting—including how we combine technical analysis with traditional tools like RSI Bollinger Bands, MACD, and Fibonacci Retracement to identify high-reward, low-risk trades. Assuring to arm you with the right knowledge about technical analysis and how to apply it on the charts on daily basis, the research report covers Nifty, as well as few selective, highly-profitable stocks, commodities, and FOREX. commodities, and Forex pairs. So know exactly when the right buying and selling opportunity approaches. • Access to premium contents on our website. Bharat point out patterns as they develop and explain what he would do if in your place. • Exclusive watchlist updates as profitable patterns emerge. WHY SUBSCRIBE TO THIS PREMIUM REPORT? The subscription to the research report comes in 3 payment packages: Basic, Standard, and Jumbo, each promising you big returns. The Basic one-month subscription package to our premium research report is for those who want to tread the water before jumping into it—for those who want to see how effective our report is before making any long-term commitment. Next, the Standard one is the most popular subscription package; 6-months commitment, not too short or long, and at affordable pricing. It promises you optimum value for your money with multiple offerings, along with Breakout Alert facility. The Jumbo subscription package is for those loyalists who trust us and are well-acquainted with our unparalleled track record. It includes 12-months full of rich resources and personal assistance, steering your fortune to highly-rewarding and sustainable portfolio. Pick one which suits your needs and budget. Your haven't purchase any Package. Please purchase any package to see the subscription page. Don’t settle for less when you can achieve much more. The Online Trader’s Classroom is a go-to for hundreds of traders who wish to take their knowledge and proficiency to the next level. High-quality resources made available every week, the solution – a far cry from theories – includes practical examples and real-market scenarios. It aims to help you better understand the Relative Strength Index (RSI) and other technical tools so you identify opportunities on charts better and make bigger leverages. Don’t settle for less when you can achieve much more. 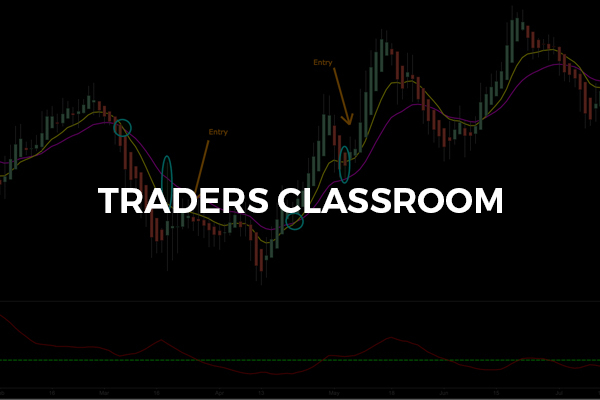 The Trader’s Classroom is a go-to for hundreds of traders who wish to take their knowledge and proficiency to the next level. High-quality resources made available every week, the solution – a far cry from theories – includes practical examples and real-market scenarios. It aims to help you better understand the Relative Strength Index (RSI) and other technical tools so you identify opportunities on charts better and make bigger leverages.